Criminal Defense Attorney, Framingham MA, Stephen Dawley P.C. Being charged with a crime can be very stressful. The criminal justice system is complex and intimidating to anyone not trained to deal with it. People who represent themselves when charged with a crime are at an enormous disadvantage, and typically do much better when represented by a caring and experienced criminal defense lawyer like Stephen E. Dawley. I have been a criminal defense lawyer in Framingham, Massachusetts for more than 30 years. I have provided strong advocacy, personal attention, and aggressive criminal defense to the people of Eastern Massachusetts. I treat all of my clients with respect and give each case the attention it needs to get the best possible result. During my career, I have handled thousands of criminal cases, and I am prepared defend you against a variety of criminal charges. Please call my Framingham office at 508-308-8191 or send an e-mail at steve.dklaw@verizon.net for an appointment. Anyone charged with a crime is up against the vast resources of the District Attorney’s office. Their only job is to prosecute people charged with crimes. As a criminal defense attorney I protect my clients’ rights, guiding them competently through the criminal justice system with the goal of getting every client the best possible outcome to their case. I meet with each client as many times as neccessary, review all aspects of the case, analyze the possibilites, and discuss with the client in detail all the possible options. I know that every case is different and every person is different and I approach every criminal case with that in mind. The list of criminal cases I defend is long, but includes OUI (also known as DUI or drunk driving), larceny, drug cases, probation matters, domestic violence, and juvenile crimes. 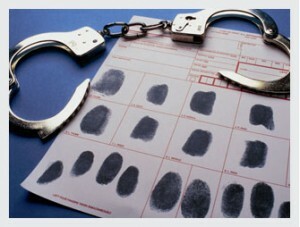 If you are charged with these or other criminal offenses I can help you. I have over three decades of experience handling drunk driving, drug possession, assault and battery, and other criminal matters. There is no substitute in criminal cases for experience and skill. I have handled cases in virtually every court in eastern Masachusetts and know how to interact with the District Attorney’s office, probation, and judges to get the best possible disposition for your case.